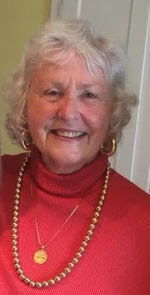 Kay Bray Obituary - Newport, Arkansas | Jackson's Funeral Homes Inc.
Kay Karolyn Bray arrived in this world on December 8, 1939. She departed from this world on December 30, 2018. In between those dates, she lived a very full life. She was born to Kohn Park and Archie Lee Hood Bray in Batesville, Arkansas. She and her family moved to Marked Tree, Arkansas when she was very young, and she lived there until she left for college. She graduated from the University of Arkansas as a proud Chi Omega in 1961. In 1962 she married Jimmy Wilmans, Jr. They welcomed their daughter, Carolyn Bray in 1963, and in 1966 they welcomed their daughter, Mary Elizabeth. After their divorce in 1975, Kay began a career in teaching that lasted until 2014. During that time she taught in the Newport, Tuckerman, Newark, Marion, and Rogers school districts. She obtained her master’s degree and later became certified to teach reading to children with dyslexia. The last third of her career, she left the classroom to become a testing administrator, and she loved the one-on-one time she shared with the remarkable children she met. She was passionate about football, basketball, tennis and golf. She was known to offer very specific instructions and encouragement (via the television) to the coaches and players of the teams she loved, and she oftentimes scathingly chastised the coaches and players of those teams she didn’t particularly like. She was very direct...almost all the time, but that was a trait that was naturally softened by her innately kind spirit and her amazingly quick wit. She loved traveling with her girls as well as her family and friends. She loved good food, the theater, the ballet, the symphony, museums, art galleries, dancing to rock & roll music, and the Episcopal Church. She enjoyed a beautifully set table, and she was a top-notch flower arranger. She could launder dirty placemats and napkins like a professional, but she had little to no patience for either sorting or folding regular laundry. She loved animals, sudoku puzzles, books, British television programs, various cooking shows and most people (though to her credit, she did strive to love everybody). And while she rarely focused on the negative things in life, she made no bones about the fact that she despised both shopping for clothes and dealing with cable television providers. She was predeceased by her parents, her brother, Kohn Park Bray, Jr., her sister, Elizabeth Sue Bray Jennings, and her brother-in-law, William Anderson Jennings. She is survived by her “1-2s,” Carolyn Rogers (Rog), and Mary Elizabeth Andritsakis (Yiorgos), bonus grandchildren, Wendy Rasch, Jackson Rogers (Robin), Jenny Beck (Daniel), Stacey Rogers (Martin Johnston), Joel Rogers (Kayla), Sophia Andritsakis Roman (Tony), and bonus great-grandchildren, Jasmina Garfagnoli and Luca Roman, Audrey and Zeke Rasch, Emmy Rogers and Navy and Auburn Petty, Harrison, Cora Jane and Theo Beck, Brenna and Jonah Williams and Drake Johnston. She is also survived by numerous generations of beloved nieces and nephews as well as countless cousins and friends. At her request, there will be no formal service. If you would like to make a donation in her memory, choose one that is meaningful to you. But if you would like to honor her memory, the family asks that you enjoy a delicious meal with your loved ones. Forgive an old hurt. Be kind to someone you know is struggling. And love. Most especially, love.